Maybe your phone case has a nasty stain on it or maybe it has just gotten dirty overtime. 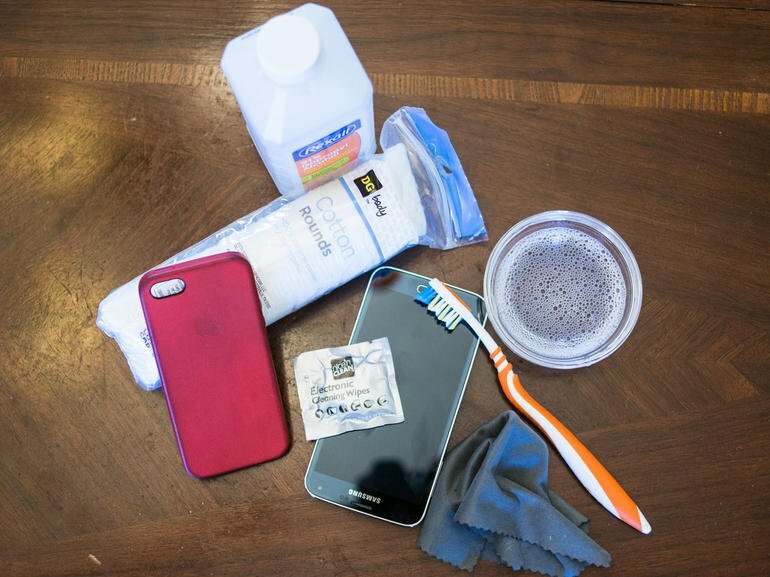 Even if there is no visible grime on your cellphone case, your case can use a good clean to get rid of bacteria. Just think about how many times you touch your phone a day and the surfaces your place your phone on. 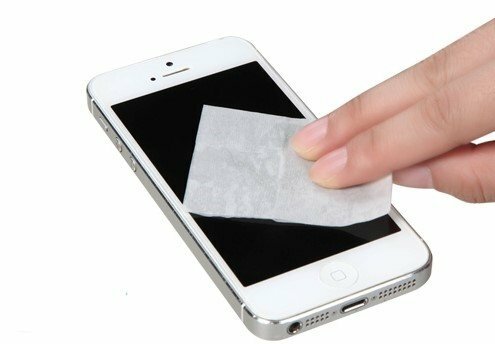 However, silicone phone cases can be easily scratched if you wash them too roughly. Luckily, it’s easy to clean and disinfect your phone case. Take your phone out of your case. If the case has multiple pieces, detach the pieces and wash them individually. Add a few drops of dish soap into a bowl of warm water. Mix it up. Put your case in the soapy water. Place something heavy on your case to keep it submerged. Let it sit in the water for a few minutes. Dip the toothbrush into the water and gently scrub the case to remove dirt and stains. Brush very gently so you do not damage the soft silicone. If you have stains that can’t be washed off with light scrubbing, add a sprinkle of baking soda to the stain. Scrub the stain gently with the toothbrush. This will make it easier to remove the stain. Repeat as needed and rinse your case with cold water. Dry the case with a microfiber cloth. Let your case air dry for at least an hour before placing it back on your phone. Take your phone out of your case. If the case has multiple pieces, detach the pieces and clean them individually. Spray the rubbing alcohol and rub the case with a microfiber wipe or rub the case with the alcohol wipe. Let the case dry for at least a half hour before placing it back on your phone. Do not use bleach on a silicone case. It will turn the case white or at least make the color fade. Some dirt and stains can be removed with an eraser. Just rub the eraser over the dirty area. Interested in Becoming a MYBAT Reseller? Be the first to find out the latest accessories, deals & more! Copyright @1997-2018 Valor Communication, Inc. All Rights Reserved.